Couture! 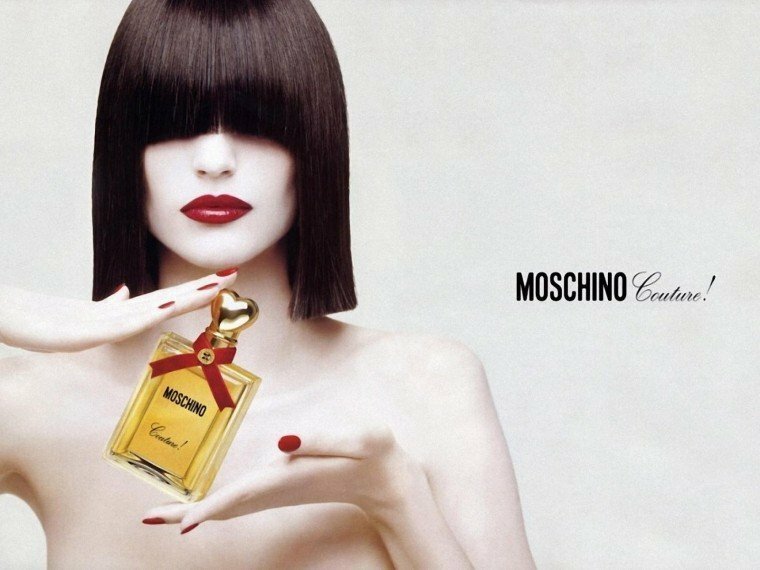 is a popular perfume by Moschino for women and was released in 2003. The scent is floral-sweet. It was last marketed by EuroItalia. 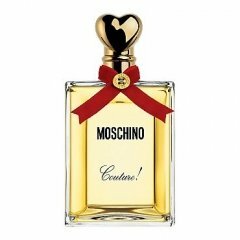 I love Moschino, their fragrances are either classy or crazy but they never disappoint, Couture follows in that tradition. Despite the pepper note, on my skin Couture opens up in a sweet and rather soft fashion. Citrus and floral notes mingle in wonderful harmony with the pepper and prevent it from making it a dominant note. The middle phase is all about jasmine and has a woodsy feel about it. Woodsy with a slight vanilla edge that makes it very unique in its overall composition. The woodsy feel doesn't drown the flowers out, I can even smell the poppy! The dry-down mixes all notes into an unusual scent experience. It's a sensual and 'soapy' scent, very bold and noticeable. It has a heavy vintage vibe about it, yet it's also modern, a 'bi-polar' scent that seems to combine the best of these two worlds. It reminds me a lot of Estee Lauders "Cinnabar", but Couture is more bold and gutsy whereas Cinnabar (to my nose) is shyer and demure. It's a scent that makes a statement its "Couture a la Parfum" and wants other people to know that too. Silage is: "I am noticed and I should because I am classy and beautiful" -- Longevity is great: 7+ hours. A bold, heavy and beautiful Moschino that is wonderful for evenings, dates and all those occasions that you want to make an impact. These days it's harder to get, but if you find it you must -at least- sample it, it's a vintage in the making. Moschino Couture! is a truly delightful scent. Often mentioned by celebrities themselves as being one of their favourite scents, Mena Suvari being one of them, this fragrance has certainly gained a lot of success. It's not hard to see why Couture! has captured so many people's hearts. The fragrance opens with peppered citrus which is both unique and classy. The scent is feminine without being overly sweet or fruity. Whenever you suspect that this fragrance will become too predictable or girly, it hits you with a note which completely changes your mind. The pepper in the opening, the pomegranate in the heart and the benzoin in the drydown are examples of notes which continue to change the composition and give Couture! that unusual and distinctive appeal. Its spicy and woodsy type scent blends so well when worn on the skin. Couture! has such a natural feel to it, almost as if it isn't a perfume at all. Hard to believe that something so wonderful is sold at such an affordable price, I highly recommend. Write the first Review for Couture! !